Beyond Twin Fins in pure fibreglass with a precision flat inner foil in multi-coloured layups of a quality, pure fibreglass – to fit FCS plugs & boxes. These are our 5.5″ twin fin outers – loosely based on the Mark Richards original wounded Seagull design – the perfect pair of Twinnies for loose twin fin surfboards! Engineered to exacting standards for surfboards to provide a perfect foil to a centre fin or quad fin setup. Use our Beyond BL Thruster Set for a dual foiled rear fin. 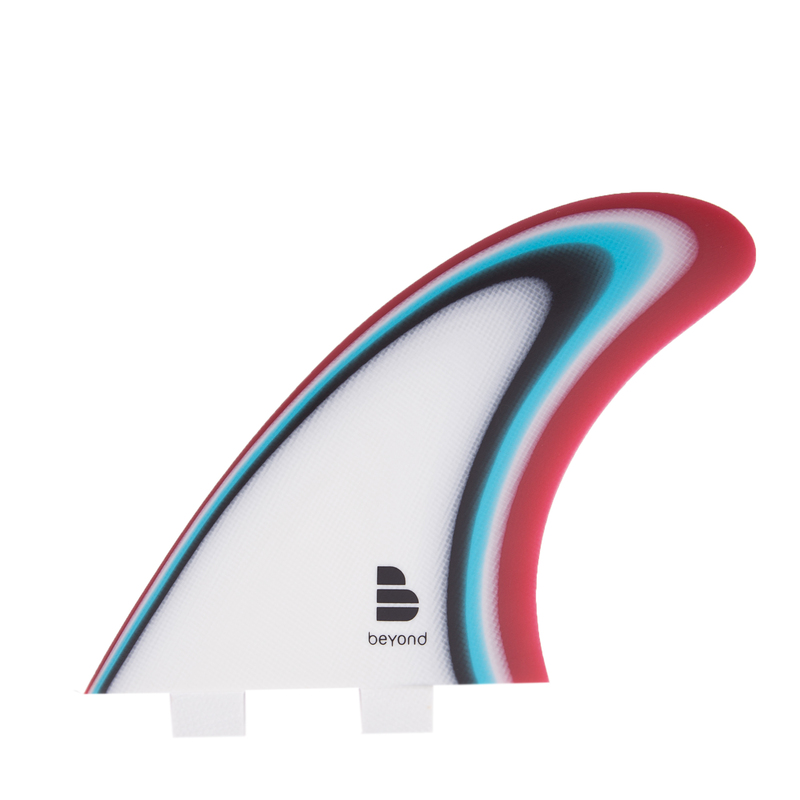 Beyond® Twin Fins in pure fibreglass with a precision flat inner foil in multi-coloured layups of a quality, pure fibreglass – to fit FCS plugs & boxes. These are our 5.5″ twin fin outers – loosely based on the Mark Richards original wounded Seagull design – the perfect pair of Twinnies for loose twin fin surfboards! Engineered to exacting standards for surfboards to provide a perfect foil to a centre fin or quad fin setup. Use our Beyond BL Thruster Set for a dual foiled rear fin. Beyond® Ultraglass Fins are designed to provide better high flex patterns from tip to base for extreme surfing situations. Fibreglass fins provide feel and zap and are still the choice of most Twin Fin surfers. Comes complete with a zipped protective storage pack. Note: We don’t disguise our quality with designs and sprays – what you see is what you get. The naked fin in all its glory.